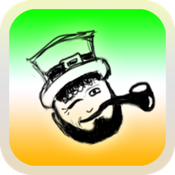 Featuring a hilarious collection of the funniest Irish Jokes, also includes mind blowing Irish Facts. And as a bonus, the side-splitting Irish Medical Dictionary is also included. If you like a joke, or a fact, you can even share it with your friends on Facebook.